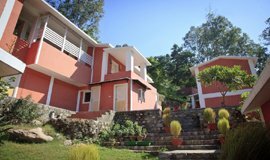 Bed and Breakfast Hotels in Corbett is a small home stay, lodge that provides overnight accommodation and only breakfast in meals. 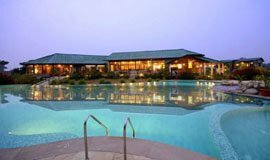 There are few Bed and Breakfast Hotels in Jim Corbett National Park. 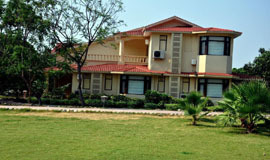 Bed and breakfast hotels in Corbett Tiger Reserve serve quite good accommodation for people visiting Corbett. Bed and Breakfast Hotels in Corbett serve Home style meals home like atmosphere with beautiful surroundings. Bed and breakfast hotels mutually benefits for both owner and guests. Guests have the opportunity to relax in a home style apartment and owners have the opportunity to gain monetary profit. 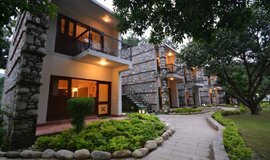 Bed and breakfast Hotels are gaining popularity in recent times and guests visiting Jim Corbett National Park often wants to have the experience the comfort and ambience of Bed and Breakfast Hotels in Corbett. Corbett National Park is home to many tourist Attractions and places to visit. It is one of the oldest National Park in India. Every year tourist from all over the world visit Jim Corbett National Park to experience the beauty of Mother Nature. While in Corbett you can visit several nearby places & tourists attraction. Garjiya Temple is famous Devi temple located in the Garjiya Village near Ramnagar, Uttarakhnad. 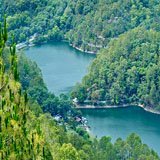 It is located on the outskirts of the Corbett Tiger Reserve in the big rock in the mid of river Kosi. Maa Garjiya Devi is the presiding deity of the Temple and hold very importance among the locals. A huge is organized every year on the day of Kartik Poornima, a religious fest celebrated in the fifteenth lunar day of Kartik. Every year many people visit to worship Maa Garjiya Devi and bath in river Kosi. Kosi River is a popular place for fishing and angling activities. During the peak fishing season from October to mid-December and mid February to June end tourist interested in fishing can catch Mahasheer. You can get permit for fishing from the Lodges and resorts located around Kosi River. When you visit hotels in Dhela and if you are interested in fishing and angling, this is the place to visit for you. Ramnagar is a small town and municipal board in the Nainital District of Uttarakhand, India. 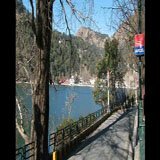 Ramnagar is located at an approximate distance of 65 Kilometers (40 miles) from Nainital, the headquarters of the district. Ramanagar is gateway to the oldest national park and reserve of India, Jim Corbett National Park. Ramnagar is a place to visit when you stay at hotels in Dhela Zone, Jim Corbett National Park. Camp Kyari is located to east of river Kosi in the Kyari Village is an awesome place to visit from Hotels in Dhela Zone. 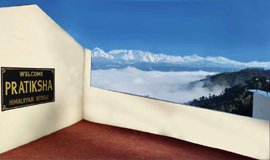 It lies on the foothills of the Nanital Kunjkharak sector which buffer it on the east and north-east. 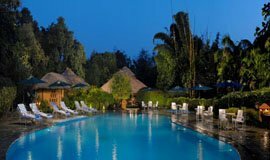 The Camp is set in the deep jungles of Jim Corbett National Park in the Kumaon foothills. The camp is constructed on eco-friendly principles encouraging an exclusive experience. Here you can understand the symbolic village life in Himalayas with all its fascinating angles. 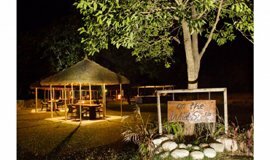 Apart from picturesque location on the banks of the stream the camp offers range of adventure activities like trekking, cave exploration, bird watching, mountain biking, trekking etc. Corbett Museum located in Kaladhungi a small town located in Nainital district of Uttarakhand State. It was the winter residence of famous beast hunter turned naturalist, Sir Jim Corbett. Here you can read his books, see his photographs with tigers he killed etc. There is also grave of his 2 dogs. River rafting trips run through some of the grandest terrains that the Himalayas have to offer - from sandy white beaches, boulder-studded rapids, gathering of rivers, deep gorgeous and some of the most admire Indian temple towns. Whitewater rafting is an activity which is enjoyed by everyone of any age. With expert guides and up to date equipment's, it's quick and easy to study some rules that keep you safe, river-smart and ready for a "wild ride" of your own. Staying at a hotel in Dhela, river rafting is must for you. Jeep Safari is one of the most popular activities in Jim Corbett National Park for the people visiting Dhela Jim Corbett National Park. Wildlife Safaris in Corbett National Park: Wildlife, Jeep and elephant Safaris are the ideal way of exploring the Indian land. In fact, jungle safari tours have added excitement and fun to the journey. Jim Corbett National Park endorses Horse Safari, Jeep Safari, Elephant Safari, Bird Safari, Nature walk and the Fishing safari. Mountain biking is the sports of riding bikes off-road, mostly over rough lands, using uniquely manufactured mountain bikes. Mountain bikes share resemblance with other bikes, but assimilate features designed to increase durability and performance in rough lands. This individual activity craves endurance, core strength and balance, bike handling skills, and self-reliance. Mountain Biking is a must try activity for the person accommodating in Dhela, Jim Corbett National Park. Elephant Safari in Corbett Tiger Reserve is the rare experience to the tourists by capturing the opportunity to roam on the back of elephant in the territory of these awesome wild animals. Safari on the back of the elephants is one of the most amazing and safest ways to explore Corbett Tiger Reserve. The elephant safari in Corbett Tiger Reserve follows a labeled path to make sure that you are able to see to all species of the National Park. The elephant safari is booked on the basis of first come first serve and conducted daily in the evening and morning. 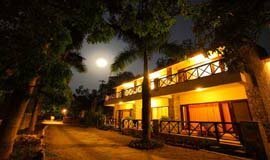 Corbett is place to visit round the year and there are several hotels that accommodate tourist round the year in Corbett. But none like Bed and Breakfast Hotels in Corbett. 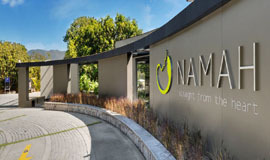 These hotels main purpose is to serve the best to their guests and offers accommodation like home away from home. In these type of accommodation you can directly interact with the locals and know more. 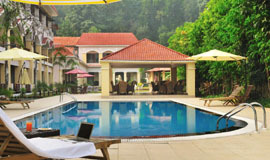 So next time book a Bed and Breakfast Hotels in Corbett @Allseasonsz.com. 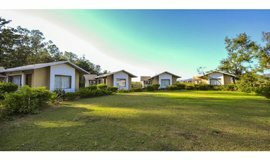 Get best deals with tariff on accommodation in Corbett. Read reviews, recommendation and book a Bed and Breakfast Hotel in cheap rates/best price.